What better way to entertain your family, friends, staff and/or colleagues than having hilarious cartoon portraits created before their eyes? Hiring a caricaturist for your Christmas party provides a fun and exciting form of entertainment that will make everyone laugh out loud! At Magical Memories, we supply the very best caricaturists and cartoonists performing at Christmas events and Christmas parties in the U.K.. If you are looking for an on the spot caricaturist, cartoon artist, sketcher then we can help. 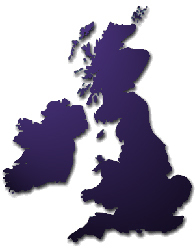 We regularly supply entertainers and entertainment for private events as well as office Christmas parties. As our team of expert caricaturists are extremely flexible, they are happy to adapt to your specific requirements for your Christmas party and can print the paper with a message / logo to make it personal to your specific event. We always use local Caricaturists to your Christmas party venue to keep expenses to a minimum so that you get top class, yet affordable entertainment you can rely on. 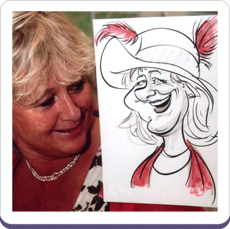 If you would like to find out what Magical Memories Caricaturists can do for your Christmas party, simply get in touch for a free no obligation quote and more details on the Caricature Artists available in your area. "On behalf of Pararail, please accept our thanks for the Caricaturist's time and professionalism on Friday. We had a superb evening, all our guests thoroughly enjoyed themselves ... Once again, many thanks. I hope you have a very productive run-up to Christmas and wish you every continued success for the future. 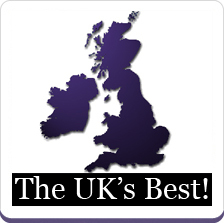 With best regards"
"We all had a fantastic night thank you. 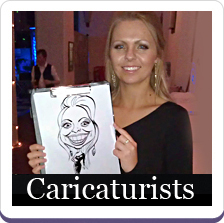 Both the caricaturists (Caricaturists 02 & 05) were great entertainment and a definite talking point of the evening. Lots of people were comparing drawings during the evening and we're still laughing about them today. I would like to take this opportunity to thank you for the high standard of service you have provided throughout. You have been extremely helpful and the standard of the two caricaturists was very high. 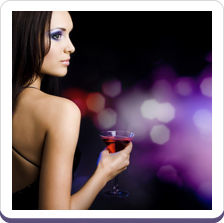 I would not hesitate to use your services for future events and recommend you to others. Have a great Christmas, Kind Regards "